Well, it’s official. 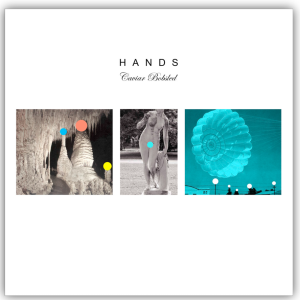 After 5 years in the making, our new album from Hands, “Caviar Bobsled” has dropped! Although the technical release date was always August 15, it has been making its way around the planet for the last few weeks. It is now available virtually everywhere (iTunes, Amazon, CD Baby, YouTube, etc). I feel it’s an important release for the band, and some of our very best work in 40 years, since the bands inception. I know it is some of MY best, for sure. But I’ll let you be the judge, and we hope you’ll check it out! If you’re a fan of Prog music, I’m sure you’ll find it a worthy adventure. My sincere thanks to Steve Powell, Rex Bozarth, Mark Cook,Martin J. McCall, John Rousseau, Skip Durbin, and Ernie Myers for making this project materialize into the beautiful offering it has become. Also thanks to Richard Patz at ShroomAngel Records for getting it out there!